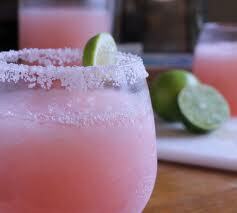 Summer Time Margarita – I Heart Hair, Inc. The summer is almost over. Why not enjoy these last days of warmth with festivals, BBQ’s, vacations, and tasty beverages. We recently came across a new popular and tasty beverage that you may enjoy! Place drink mix, juices, and tequila in container, blend well. Add ice to mix, and blend until thickened and smooth. Serve immediately. 5 servings: 1 cup each.